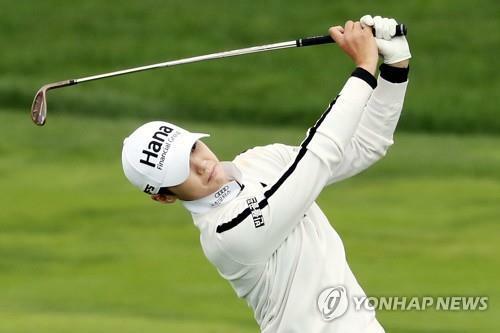 SEOUL, Oct. 30 (Yonhap) — South Korea’s Park Sung-hyun has slipped from the No. 1 ranking in the women’s world golf rankings. Park fell a spot to No. 2 in the latest rankings announced Tuesday, with Ariya Jutanugarn of Thailand taking her place at the top. Park, the 2017 LPGA Player of the Year, had been No. 1 since Aug. 20. Jutanugarn has 8.06 ranking points, while Park has 7.90 points. There were three other South Koreans inside the top 10: Ryu So-yeon and Park In-bee remained at No. 3 and No. 4. Ko Jin-young, who clinched the Rookie of the Year award last week, climbed one spot to reach No. 10.